With views of Cavendish Square, our Lamennais Room is the perfect private dining room for your lunch, dinner, wine tasting or cocktail party. An extension of the restaurant, the event space has natural lighting and is adorned by luxurious drapes, a spectacular chandelier and gold painted wine sceneries. The private room seats up to 32 guests (35 as a drinks reception). 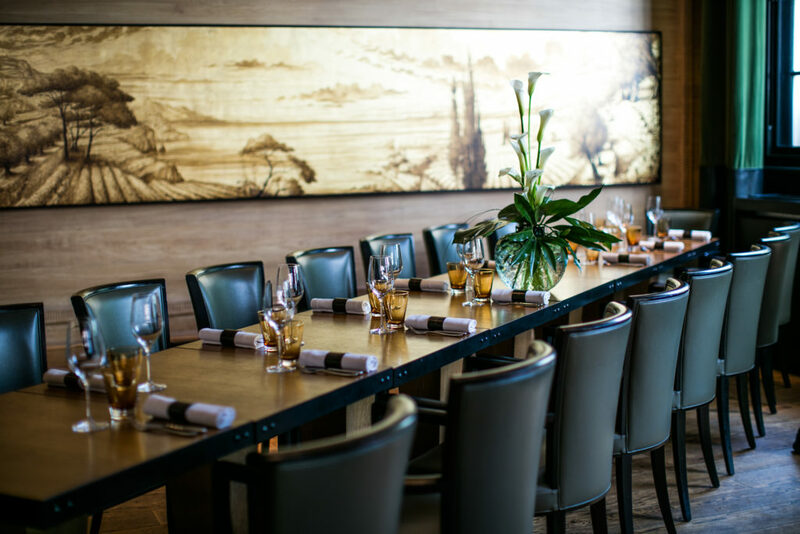 Whether you are looking to celebrate a company event, lunch meeting, an intimate wedding, birthday, product launch or a tutored wine tasting Les 110 de Taillevent offers the space, location, food and of course wine for your event. Please contact the Events Team further details on 020 3141 6016, les110.london@taillevent.com or by completing the enquiry form below.